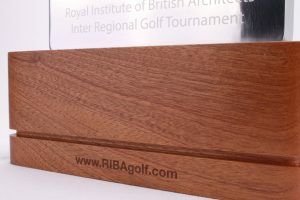 The perpetual RIBA Golf Tournament award stands at a mighty 390mm tall. 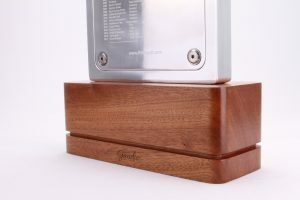 The base is crafted from FSC certified Sapele, and the top is aluminium. We used our in-house engraving facilities to engraved the RIBA website and Gaudio logo into the base. The top is solid aluminium; a high-quality alloy with a polished finish. The front features an engraved logo with a brushed finish border, for a simple but classic design. The back features an inset engraving plate, attached with golf screws. The screws were provided by the client for an extra personal touch. At Gaudio, we’re always willing to work with you to create something truly bespoke. We will always consider any personal elements you may want to incorporate. 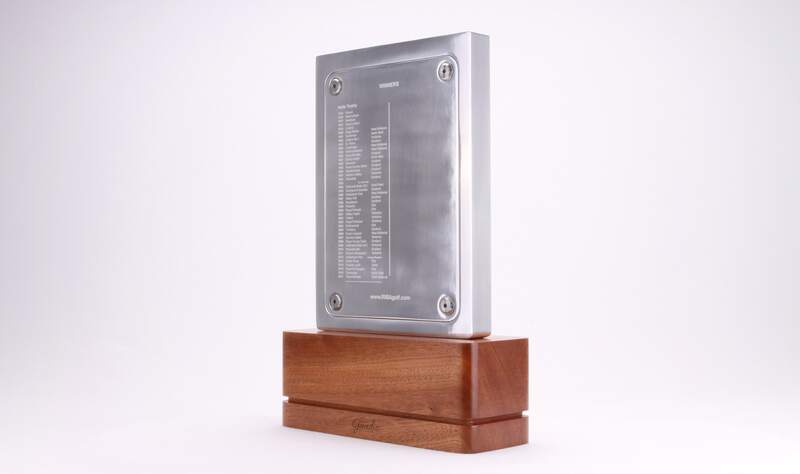 The engraved plate will be home to fifty names and dates. The plate can be removed and sent to us for future details to be added. Perpetual awards don’t just celebrate individuals, but the event as a whole, and the spirit of the game. 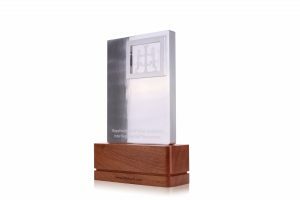 This award combines a classic wooden base with a contemporary shine, and is a truly worthy award for such a prestigious event. 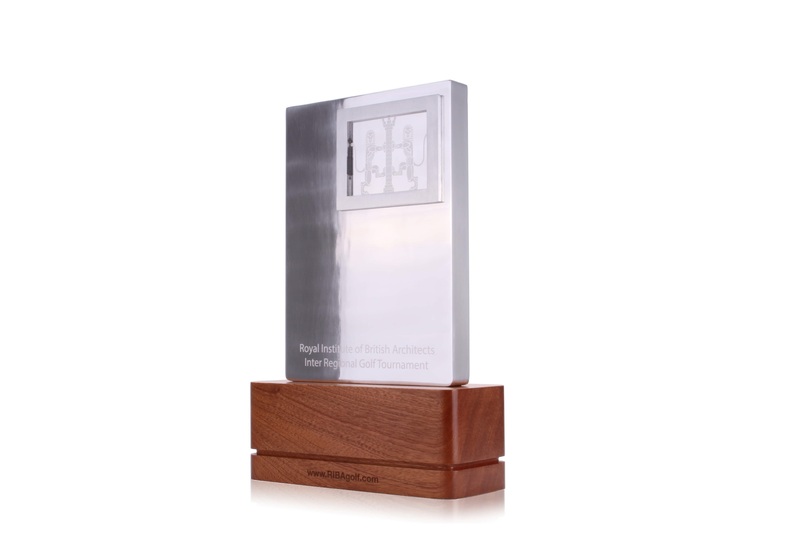 Find out more about the award or plaque we can design and manufacture for you. Call us on 01242 232 383. Alternatively, email sales@gaudio.co.uk, or fill in the ‘contact‘ form on our website. One of our Project Managers will be in touch to discuss your requirements.